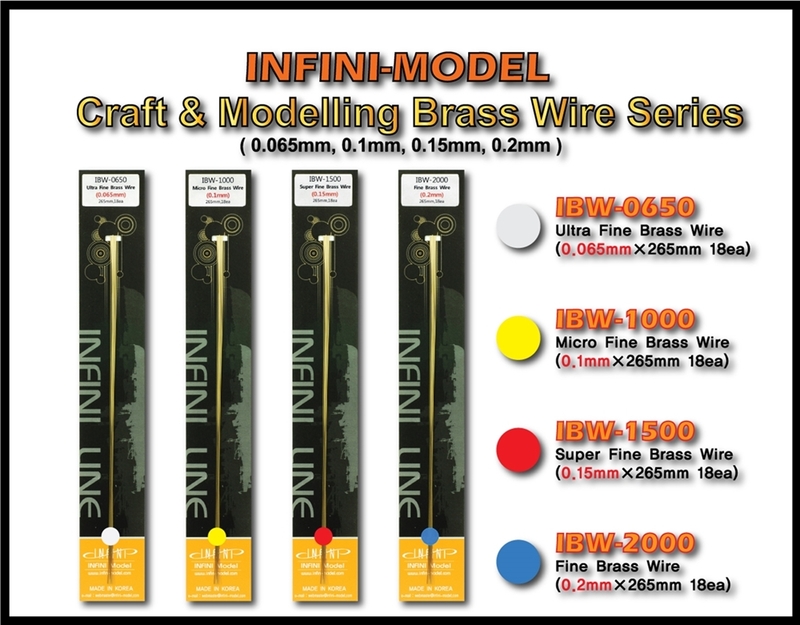 First, Very thin brass wire series. 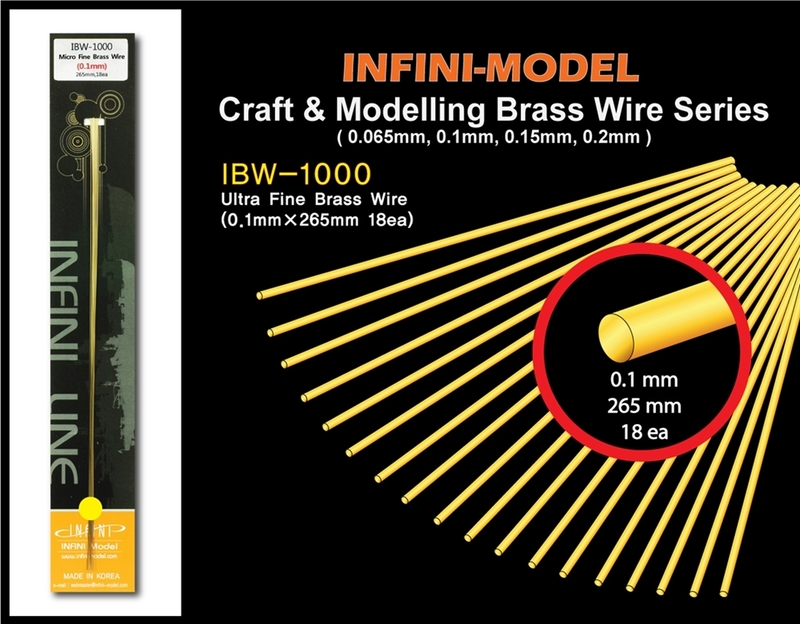 Brass wires of four different diameters make it a very useful material for scratch build-up and detailing. 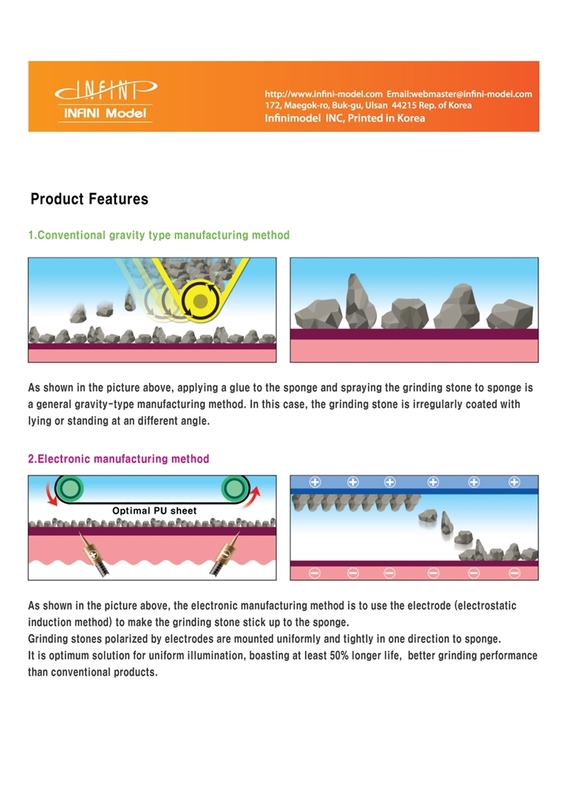 Soon I will introduce other new products. Last edited by Infini-model on Thu Feb 08, 2018 10:34 pm, edited 1 time in total. 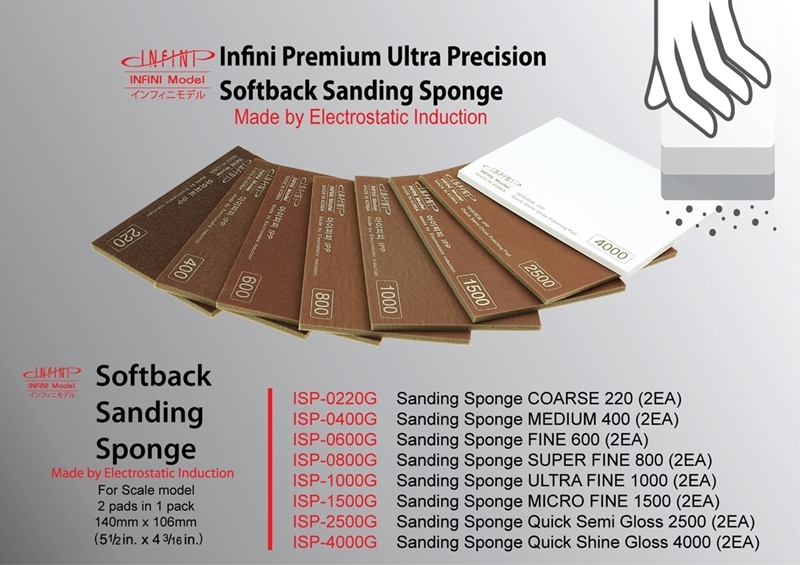 I will introduce other new products within a few days. 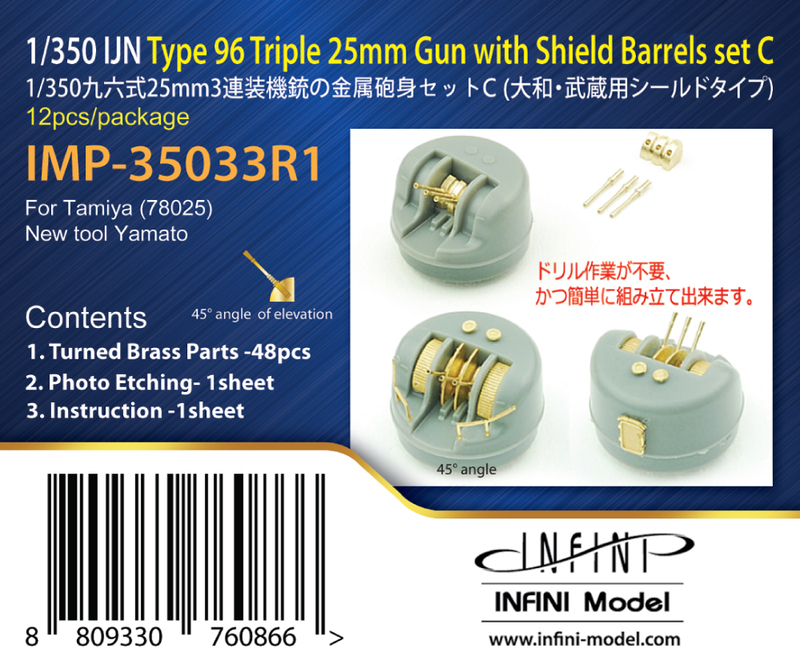 Beautiful 25mm AA. 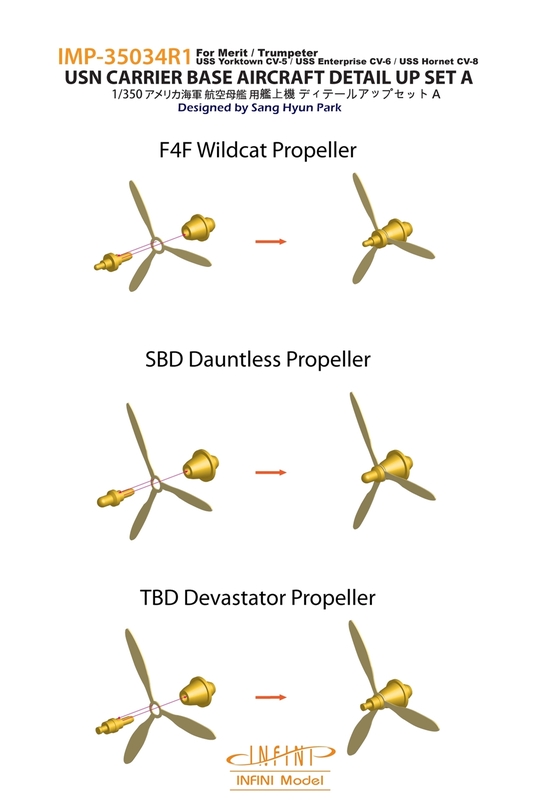 Do you think these can be used or adapted to the enclosed mounts of the CVs and CVLs? 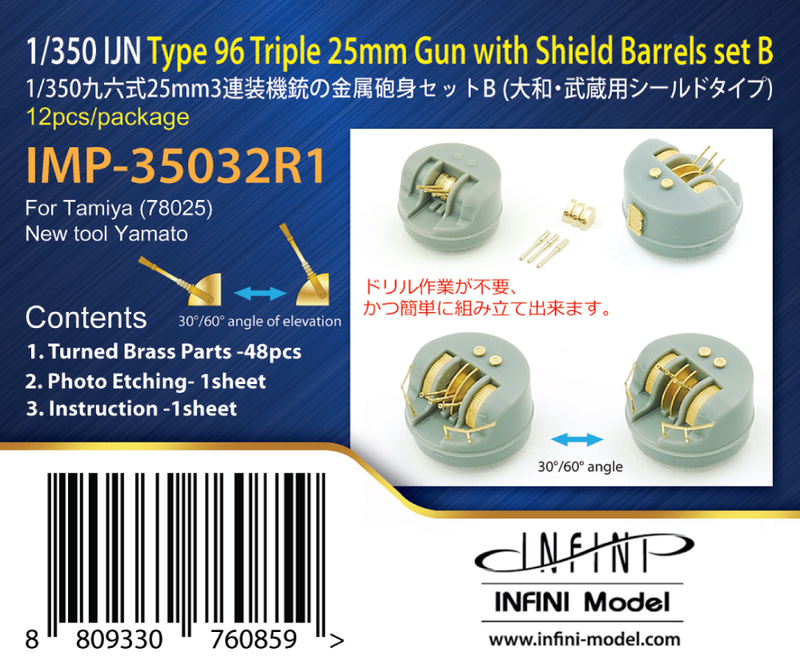 Gentle nit-pick: the part of the gun that is exposed is spelled "barrel" rather than "barrle"
Friends, Thank you for your interest in IJN 25mm triple gun barrels sets for new tool Yamato. 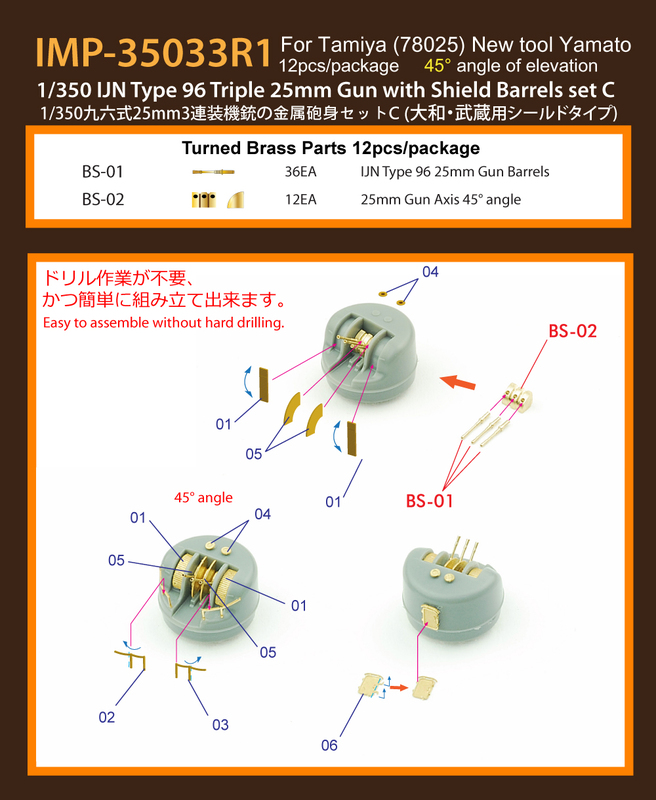 By the way, I have not been able to confirm the 25mm triple enclosed mounts parts of CVs and CVLs yet. I only checked the new tool Yamato parts. I sometimes make mistakes in spelling because English is not my native language. I will do my best to make mistakes next time. The output files has been modified. 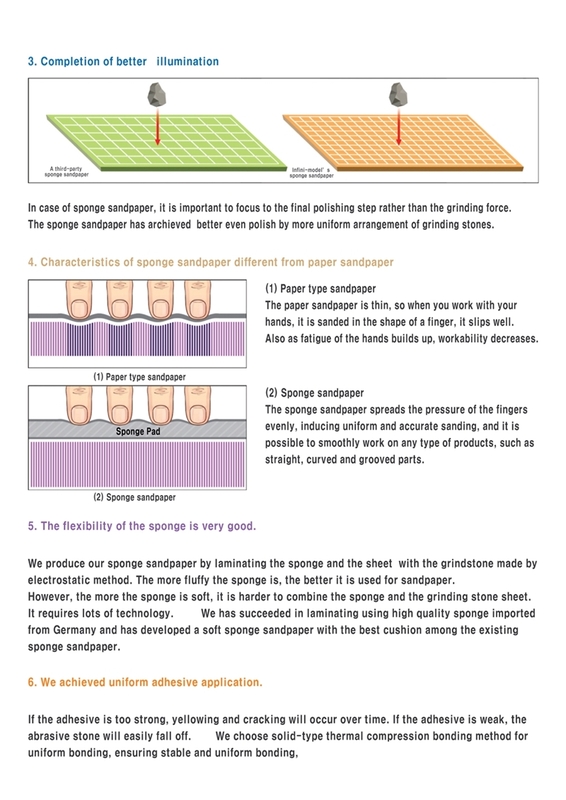 I will use the modified files for the secondary package printing. Of course! And while your English may not be perfect, it is way, WAY better than my Korean!!! 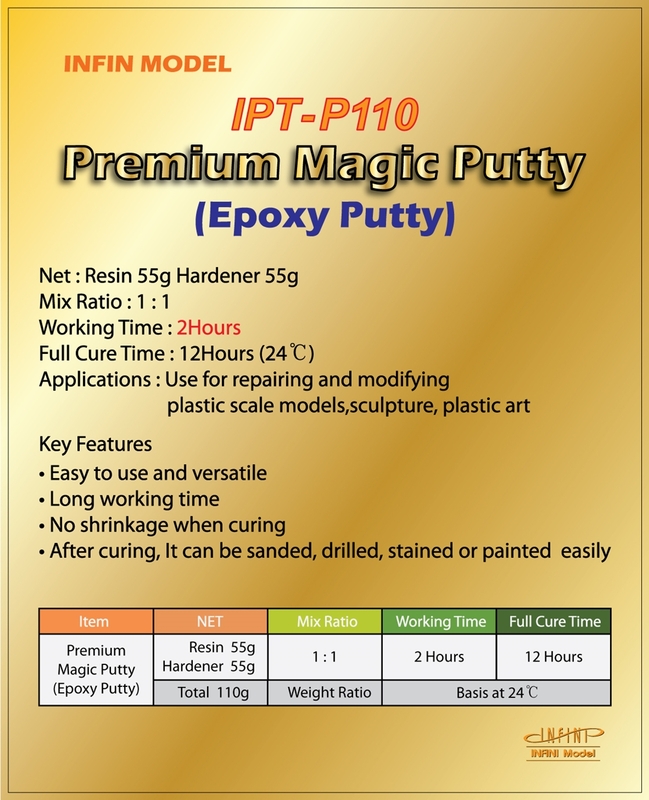 Two types of epoxy putty for scratch builders. 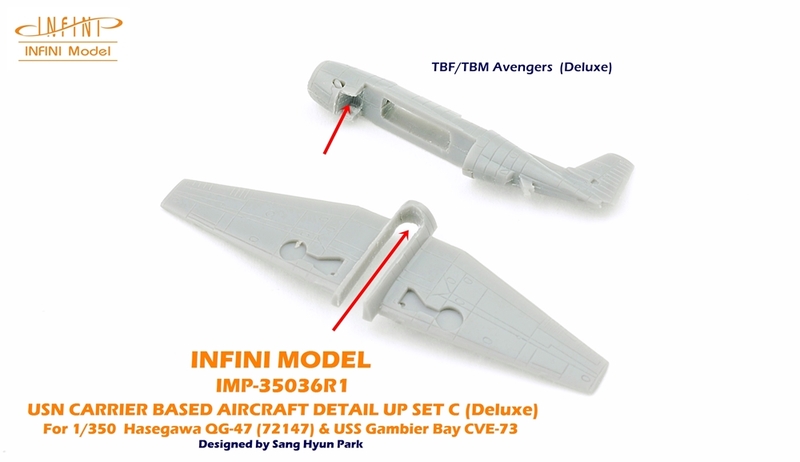 We announce today a new product for the CV-5 Yorktown ,CV-6 Enterprise and CV-8 Hornet fans in the Infiniti model. 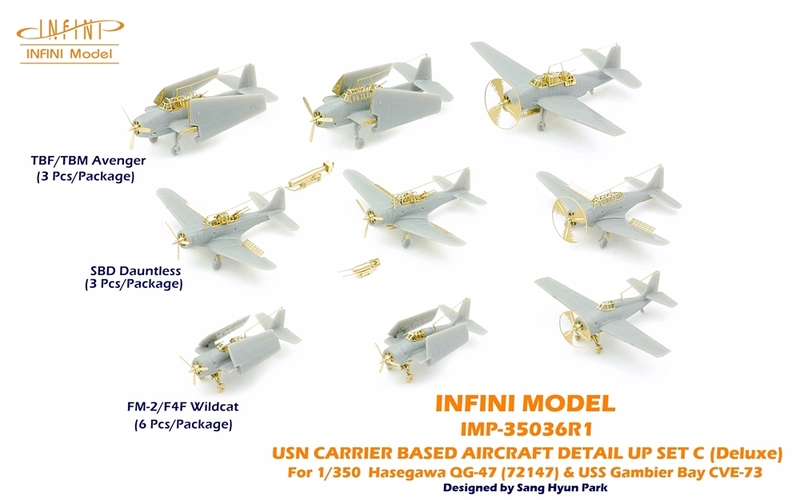 First, IMP-35034R1 USN Carrier Based Aircraft Detail Up Set A (Deluxe) For Merit/ Trumperter. 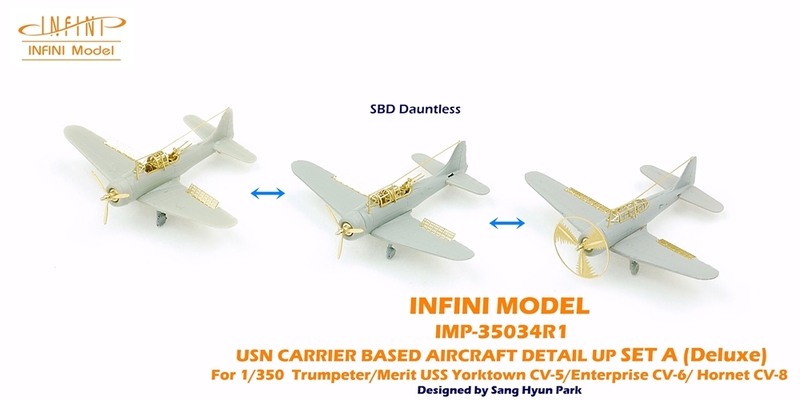 Deluxe sets include cockpit parts, 2000lb bombs and Mk-13 torpedoes. 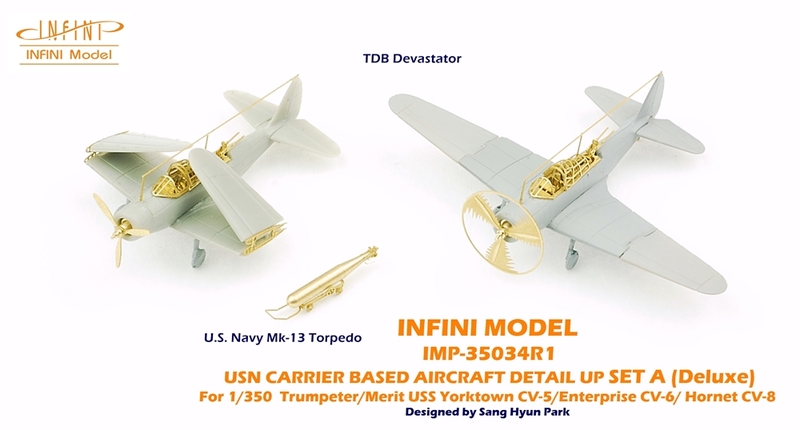 Crazy Mr. Park is also designed to rotate the propeller. 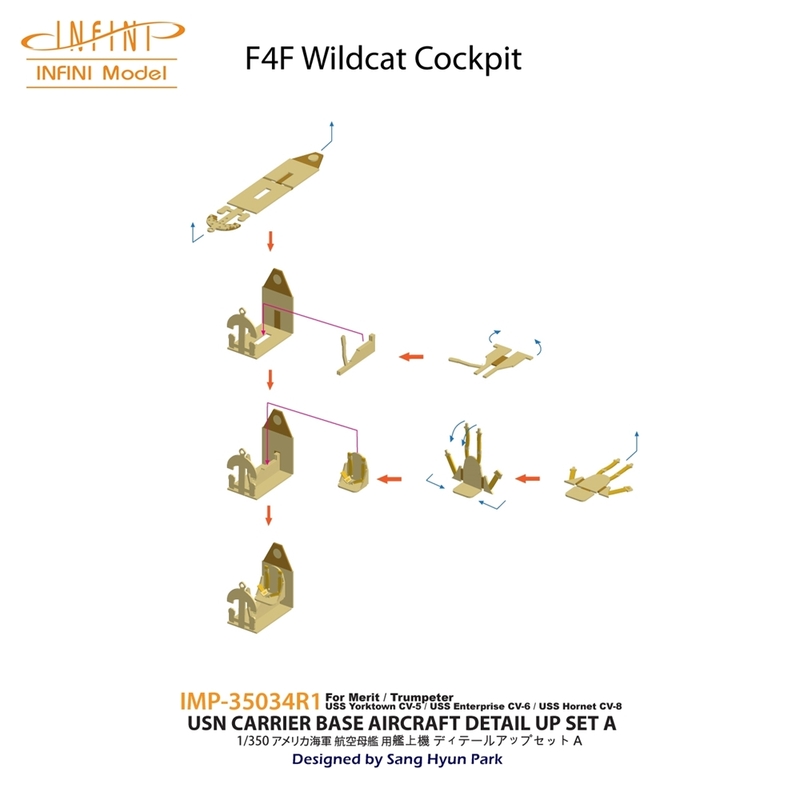 We just released four sets of 1/350 USN Carrier based Aircraft Detail up sets. 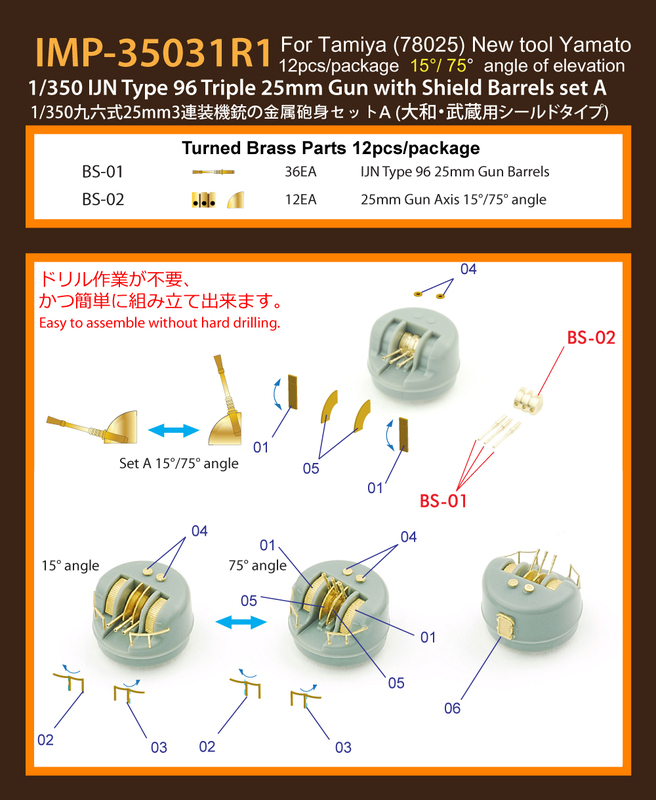 These sets are available in two sets for the Merit/Trumpeter(Deluxe,Basic) and two sets for Hasegawa(Deluxe, Basic). Perhaps you could consider doing a carrier aircraft detail set for the North American B-25B bombers launched from USS HORNET (CV-8) during the Doolittle Raid. 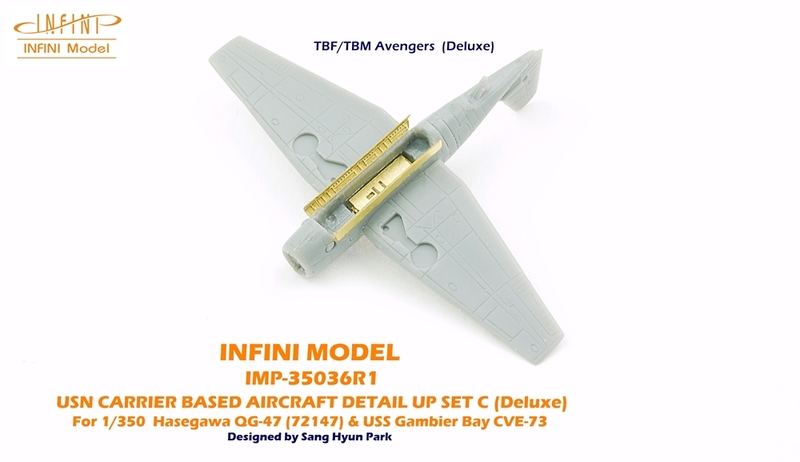 Perhaps there's also a chance you could do an upgrade kit to the USS YORKTOWN detail up set for the HORNET. I am suggesting a smaller kit than the full upgrade that would include just the parts necessary to make HORNET from the YORKTOWN detail up. 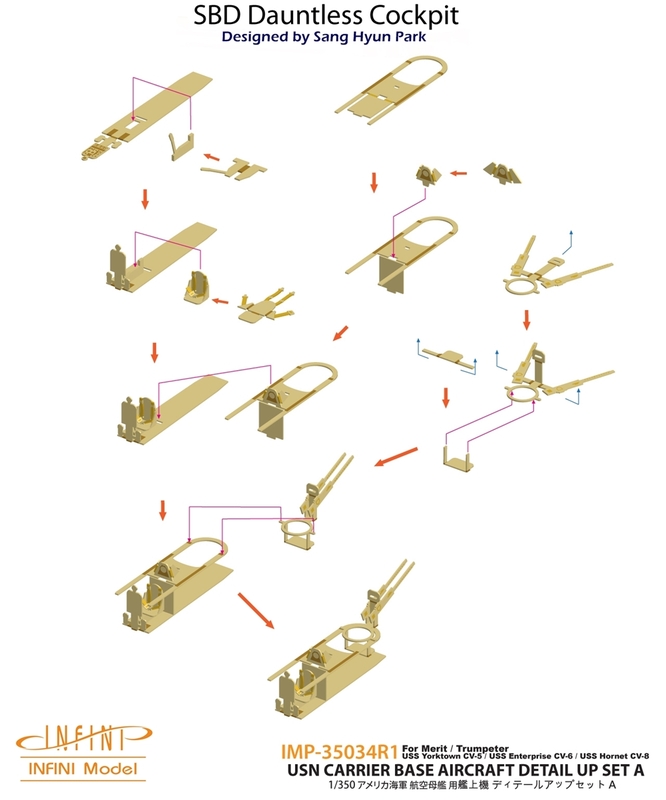 This would include some changes to the front edge of the flight deck and along the flight deck near the #1 1.1" mount. This would assume the modeler would have the YORKTOWN detail up set and this set would just add to it. 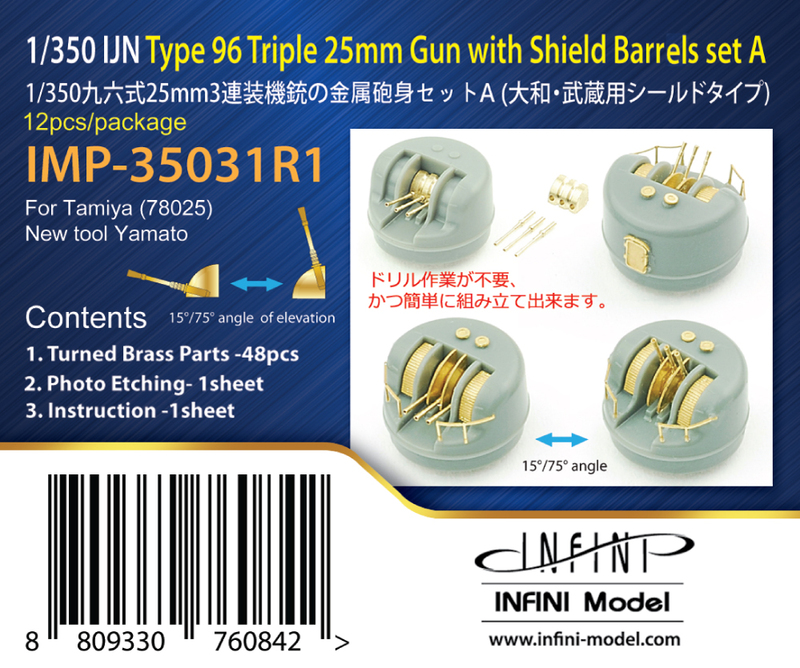 I think most of the parts are already done on your ENTERPRISE set (the brass gun tubs instead of the kit's plastic tubs in the YORKTOWN set for example). 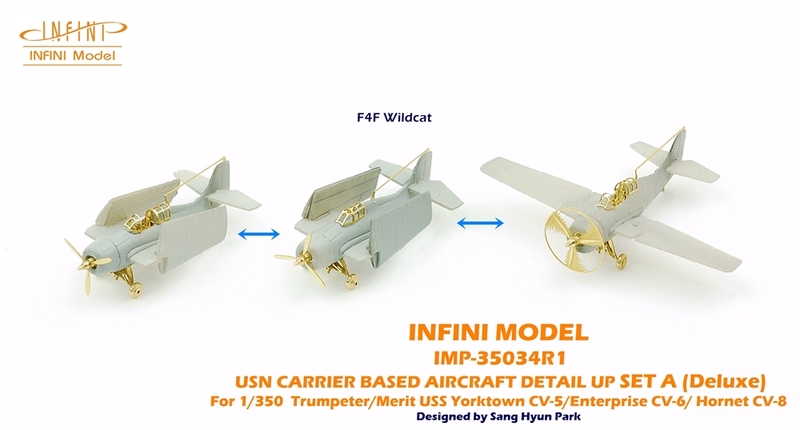 I doubt Merit will release a HORNET, so this would greatly assist those of us building HORNET. Some people make you happy, then they leave. OMG, those aircraft details sets are NUTS! Thank you for your detailed and specific suggestions. 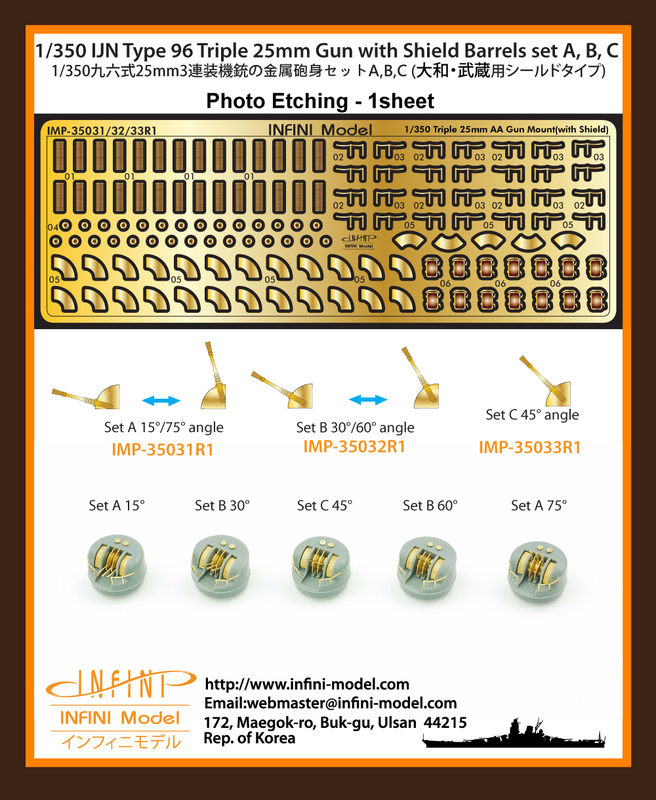 The Photo etching set for the B-25 Mitchell is worth considering. 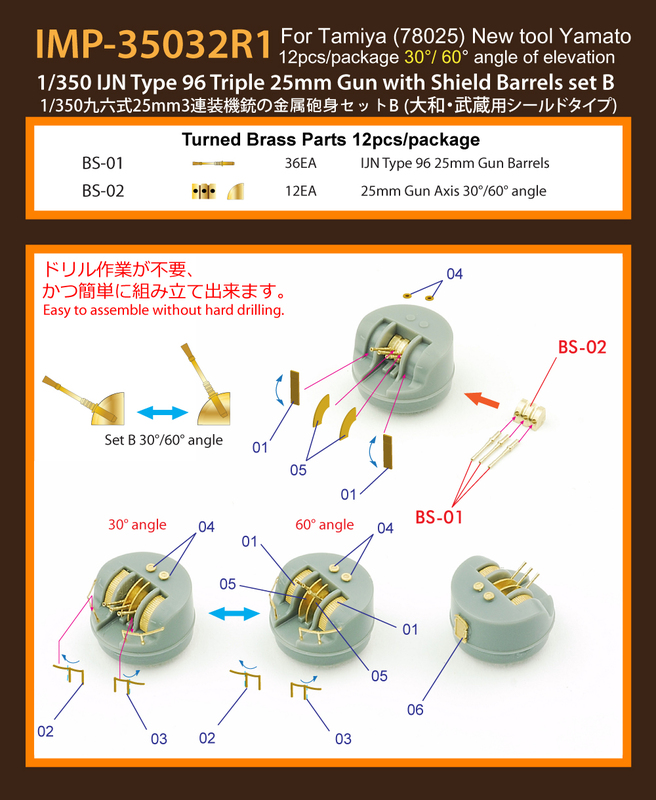 However, we need to make sure that the CV-8 kit is easily available on the market with 1/350 trumpeter B-25 kits that is scarce. 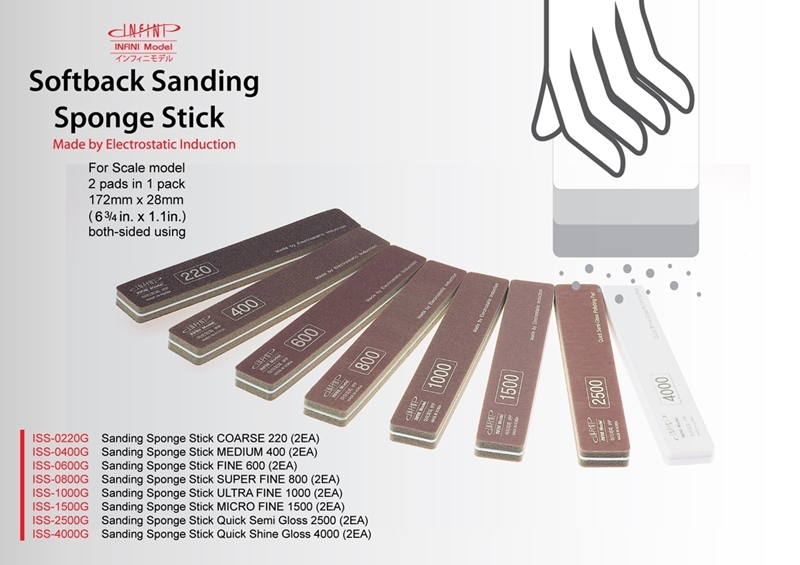 Photo etching sets are not sold unless the modelers can easily buy kits in the Hobby shop. 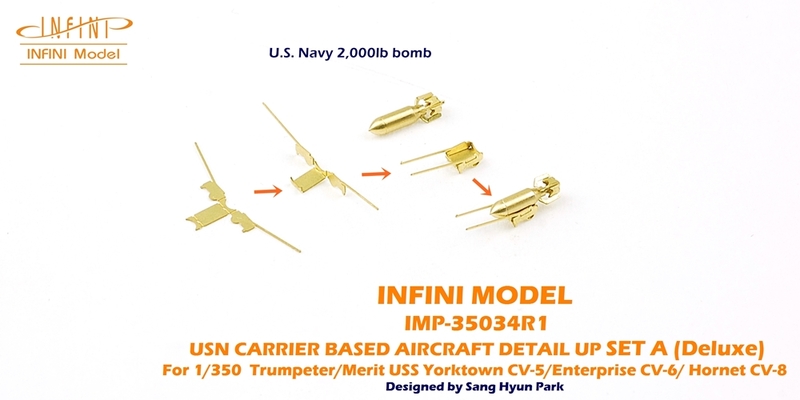 The USS Yorktown CV-5 and USS Enterprise CV-6 kits in Merit / trumpeter use a lot of common parts. 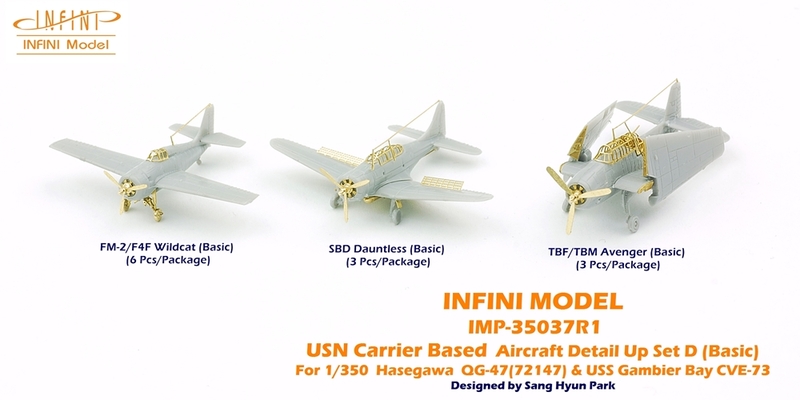 However, there is no common part with USS Hornet CV-8 kit which was released 15 years ago. Moreover, Island is completely different. Therefore, it is expected that it is almost impossible to apply photo etching set for USS Yorktown to a USS Hornet kit. I think I need to do more research on this issue. 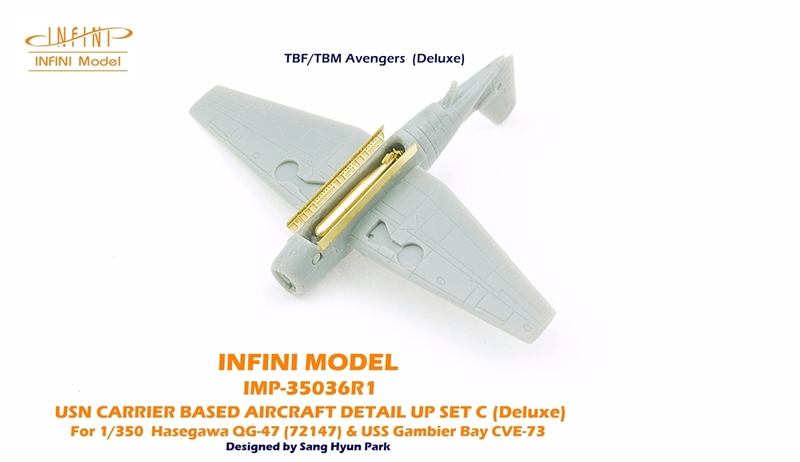 He was designed to enable Mk-13 torpedoes on TBF / TBM avengers as an option for the expert users. Well, that is NUTS. But, most impressive. 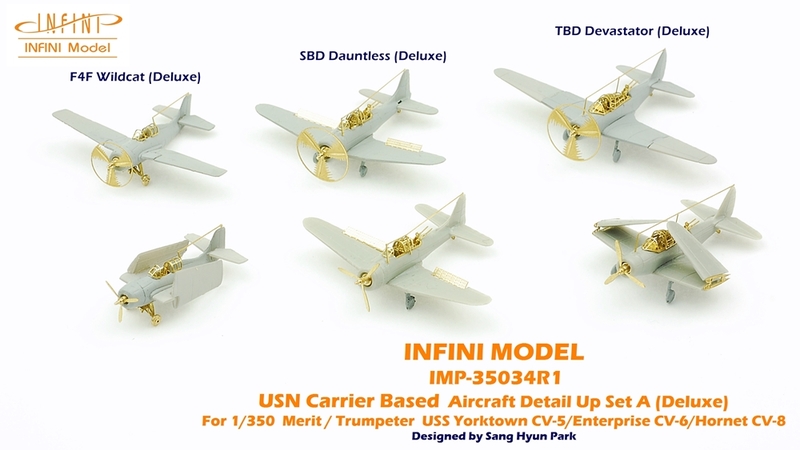 For what it's worth, I don't think the Trumpeter USS Hornet CV-8 kit is worth investing any effort in. The kit itself is such a poor representation of a Yorktown class ship that few people who want a Yorktown class ship would build it. It's hard to imagine selling much high-quality aftermarket detail parts for such a bad kit. Argeed. I bought mine just as I was getting into ship modeling and as I got more serious about I discovered how bad the hull was. Needless to say I sold it off. "I don't understand any of this! But when we get in the giant robots, WE MUST FIGHT!" "This is how Admiral Okita fights." 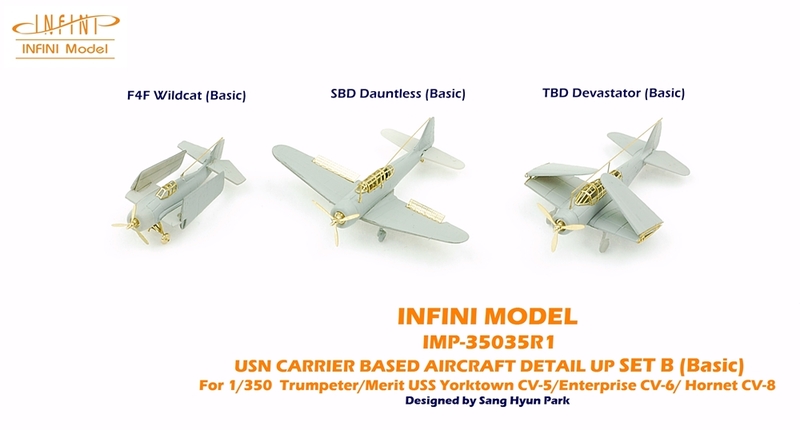 I believe John W. is speaking of a smaller add-on kit with some Hornet details to enable a conversion of the Merit Yorktown/Enterprise kit into the Hornet. He is not talking about the Trumpeter Hornet kit. 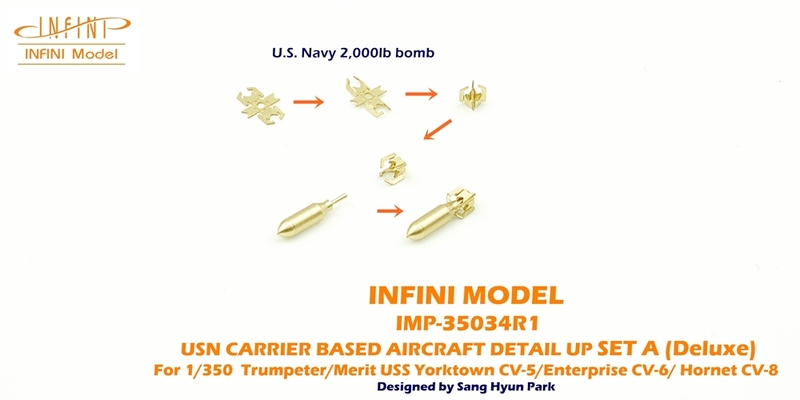 A smaller add-on kit with Hornet related pieces could be used in conjunction with the Infini-model Yorktown or Enterprise sets. 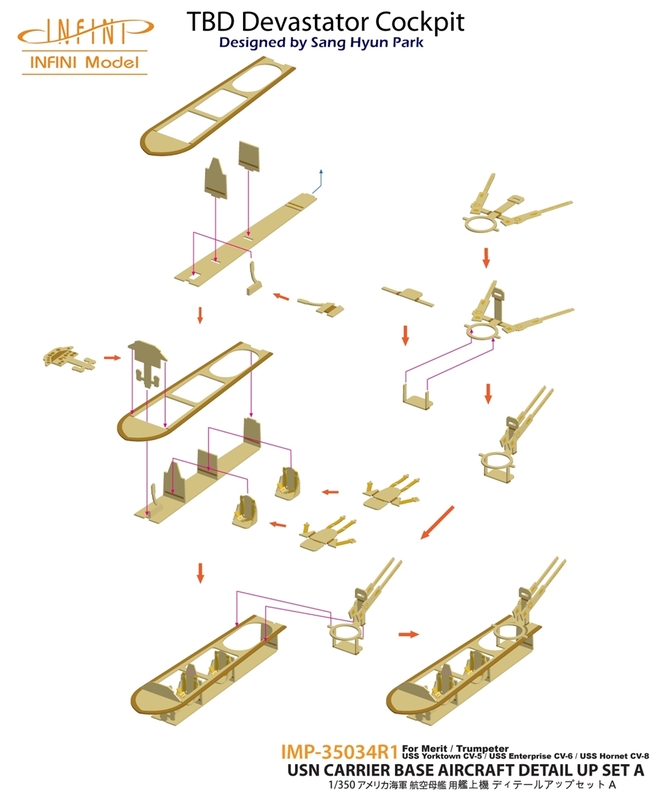 Given that there is already a 3D printed island, the details of the add-on kit could focus on the flight deck differences and other areas. 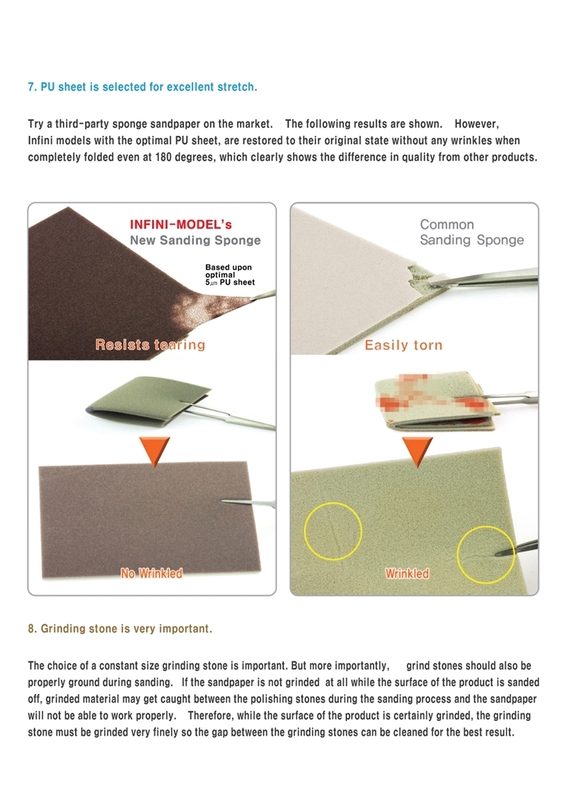 Two types of Softback Sanding Sponges for Scale model builders. I can second your ad Mr Choi. 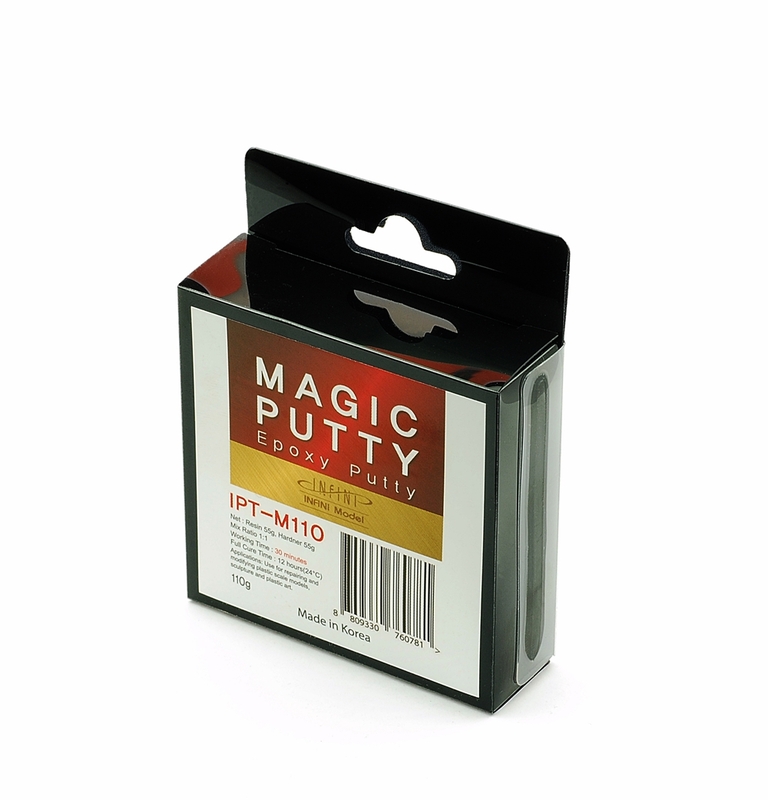 I've been using your sponges for two months now and I'm extremely satisfied by them. 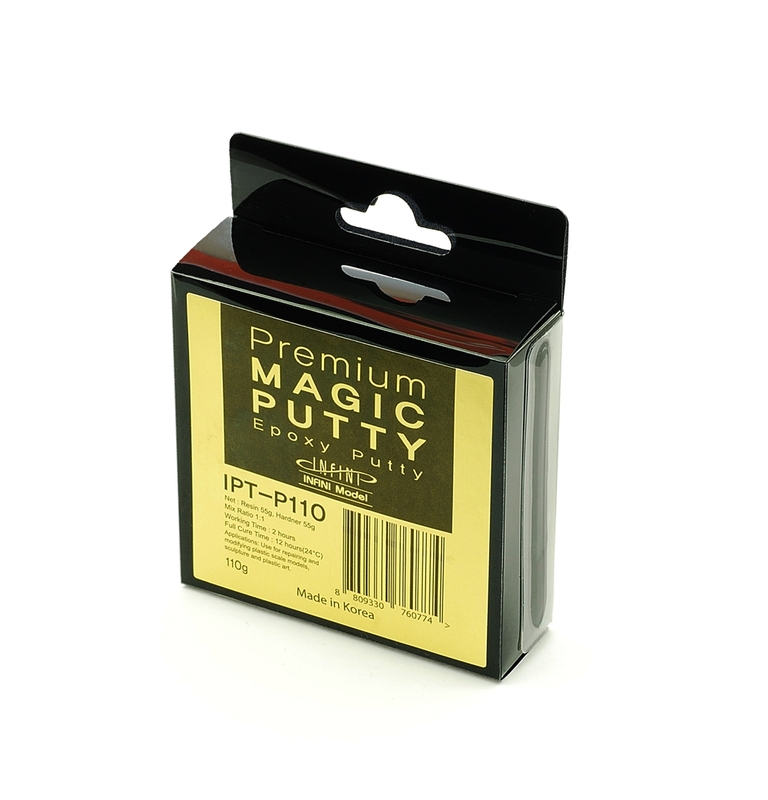 They're great to use on resin parts as well as plastic. 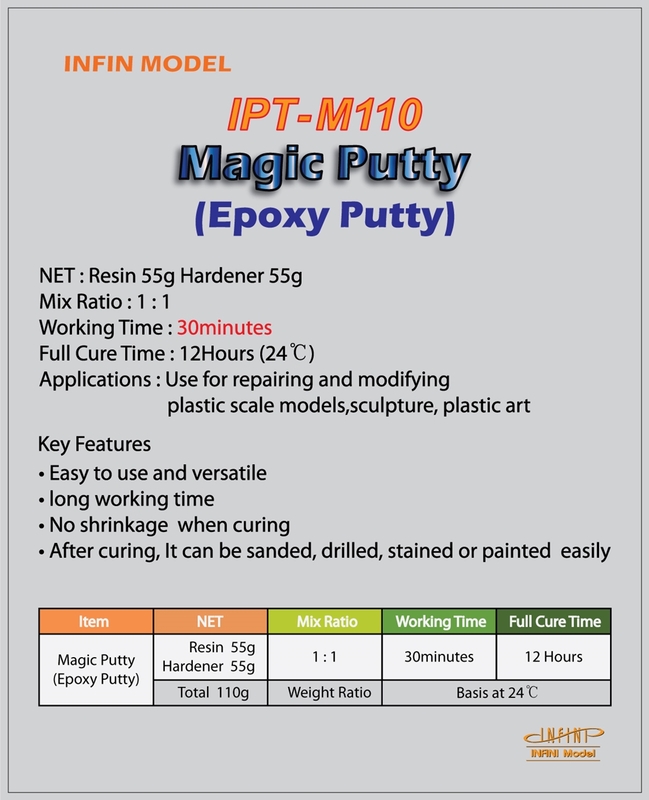 I Use 200 grit for big removal and up to 1 500 grit for polishing for a great result. 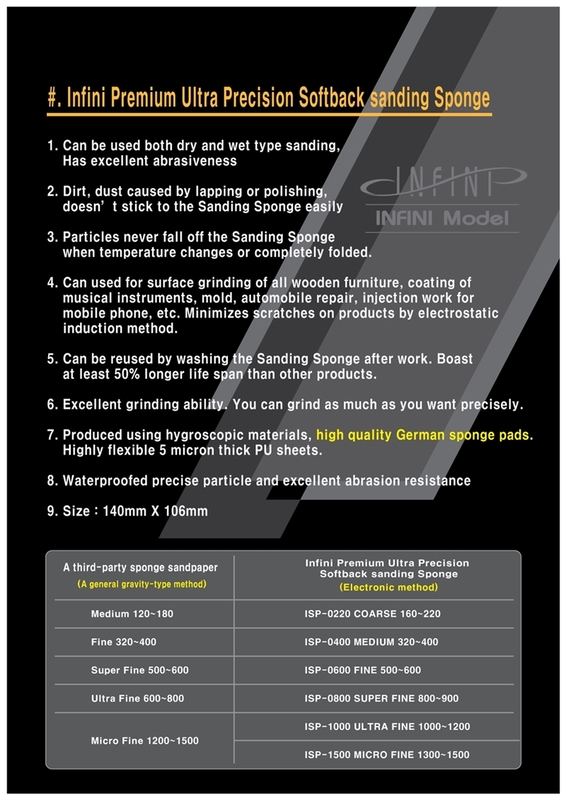 On curved surfaces this allows to sand without modifying the basic and detail shapes. 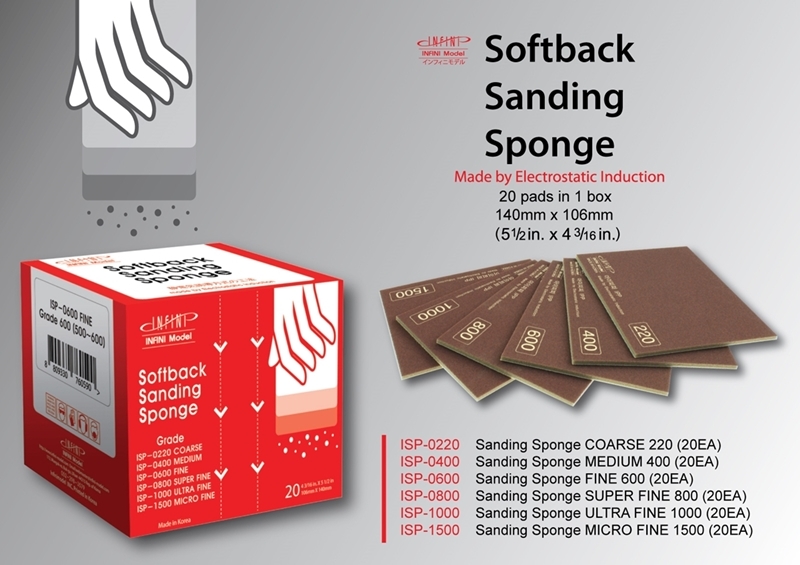 I use them only in wet mode by keeping both part and sponge in cold water: this increases greatly the life time of the sponge also. A day spent without laughing is a wasted day!